Are you afraid of wolves or fascinated by them, for many years, human beings have loved, feared and hated them without having a concrete reason? But today through learning about wolf, we will start appreciating them instead of perceiving them with a negative attitude. The wolves are more or less the same as human beings. They live with a group or packs for their entire lives. In the pack exists male and female leader thence termed ‘alphas’. They keep order, arrange for hunting trips and even solve fights. Does this sound like our parent? The rest of wolves are their kids including the adult ones that still stay with their parents and observe laid down rules. Now in this article we have interesting facts about wolf which I believe will make you develop strong friendship with them. Wolf Species are the Gray Wolf, Arctic Wolf, Red Wolf, Indian Wolf, Himalayan Wolf, Ethiopian Wolf and Eastern Wolf. Gray wolves with series of colors ranging from grizzled gray, black to all white. As the most oldest domestic dog, the gray wolves mimics German shepherds even though they almost vanished from the lowered 48 states but now they are back in on the Northern Rockies, Great Lakes as well Southwestern United States. The first key fact about wolves they keep ecosystems healthy. They keep elk and deer population in check thus benefiting other plant and animal species. Wolves’ carcasses help to redistribute nutrients and provide other wildlife species including scavengers and grizzly bears with food. The scientists have started to dig dip into the positive ripple effects these animals have on ecosystem. Wolves are meat eaters (carnivores) though they can eat other food also. 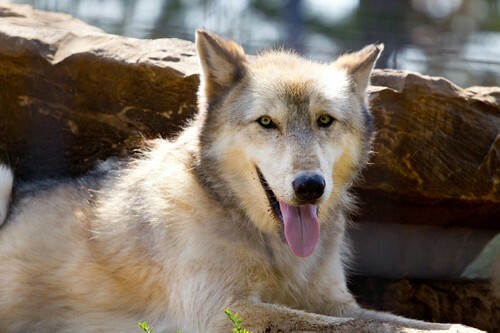 Wolves’ diet includes moose and elk, earthworms, grasshoppers as well as berries. When catching food, they usually avoid using lots of energy, hunting mostly the weaker wildlife including young, old and sick animals. During dry spell seasons, when animals are migrating, they usually prey on mice, fish and birds or even carrion. 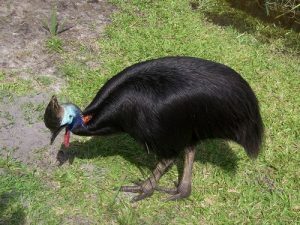 They eat their food immediately to avoid being stolen and getting raid by other predators. Wolves usually eat the best part first of their victim, then later comes back for the left portion since they can’t let the other part go wasted. Wolves oftentimes hide their food in the snow, icy soil so as to conserve it and protect it from scavengers. They averagely eat every five to six hours when they have a lot of food or can live without food and instead survive with scraps for two weeks. Wolves eat wild berries alongside other fruits as a supplement. Wolves’ digestion is so efficient. Every splinter of bones not broken down at times is enfolded in undigested hair to protect the intestines from harm. Puppies are fed by adults who disgorged meat from their belly or transfer back fresh hunk of meat to their hiding place. At the moment biologist are busy learning about wolf’s diet by studying wolf’s waste products termed scats. Wolves bear extraordinary howls such as fingerprints that researchers, scientist and the rest of pack members can use to identify them. The world wolf population is about 200,000. 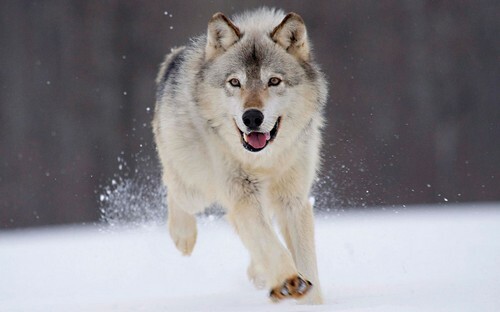 According to United States fish and wildlife wolf recovery, Western Great Lake States including Minnesota Federal protection reinstated 2,221 wolves in 2015, Wisconsin 746 in the same year and two wolves in Isle Royale National Park (2015). Whereas Northern Rocky Mountain States Idaho wolf Population State Management indicates 786 wolves total as Montana having 536 and Wyoming 382 in the very year. In Pacific Northwest California reinstated as many as three at times in 2016, while Oregon 110 and Washington 90 wolves respectively. 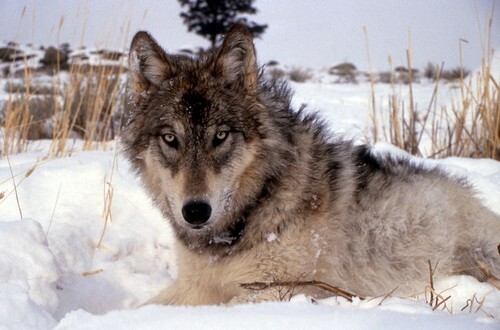 On the other end, Arizona in southwest protected 50 gray wolves and New Mexico recovered 47. In Alaska both big game animal and furbearer management saved 7,700 to 11200 in 2016. Then lastly North California in southeast recovered 45 to 60 red wolves lately. Wolves were once popular in entire North America more so the gray wolves; however, they were eliminated in several areas in US by mid 1930s. Currently, wolf range has been brought down to the Great lakes, Alaska, Canada, Pacific Northwest and Northern Rockies. Thanks to the re-launch of wolves in 1995, YNP is the top favored places to see or hear wolves in their original habitat. Wolves need huge areas of contiguous habitat with mountains terrains. 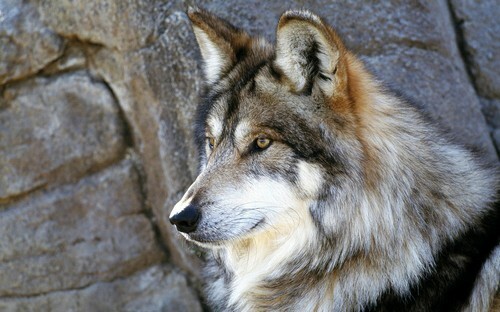 Some wolves including gray ones from Mexico can do well in desert and survive in the southwest. 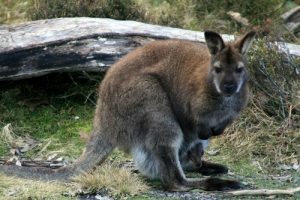 Appropriate habitat should have adequate access to prey, safety from extreme persecution and places with denning and taking shelter. 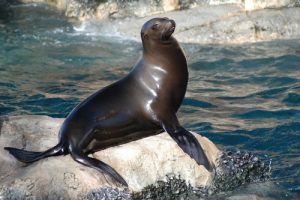 They are very intelligent animals whose upright ears, pointed muzzles, Sharp teeth and inquiring eyes together with more facial features instantly showcase these qualities. Wolves’ weight and size vary widely across the world. Generally, a wolf height varies from 0.6 to 0.95 meters equivalent to 26 to 38 inches at the shoulder, its weight vary from 20- 60 kgs., where gray wolf being the largest one among other wild canids. Also, Wolf’s extreme specimen weigh over 77 kgs equivalent to 170 pounds. This has been recorded in Canada and Alaska though it is said that they are hardly encountered. From the Arabian specimen the smallest wolf can weigh 10 kilograms which is equivalent to 22 pounds at maturity. Experts say oftentimes female wolves weigh approximately 20% less than what male wolves weigh. Their bodies are built for stamina, having features ideal for lengthy distance travel. Wolves narrow chests plus powerful backs as well as legs help their effective locomotion. They are able to cover multiple miles trotting at about 10 km pace per hour which can be narrowed down to six miles per hour. They are also known to go past 65kms per hour or 40 miles per hour during a chase. But when sprinting they can cover up to five meters which is the same as 16 feet in one run. Moreover, they live, travel and hunt an average of seven to eight animals per day. The alphas which are the dad and mom are the pack leaders who track and hunt meat, choose den areas, and decide the pack’s territory. In the pack is where these creatures develop strong bond among selves. They also have complex communication system including barks, whines, growls and howls. Wolves don’t howl at the moon because they hunt at dusk and dawn, they howl a lot when there is much light at night that appears often whenever the moon is full. 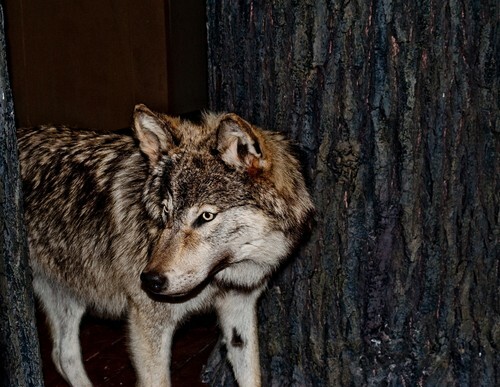 Wolves mating season can come anytime between January and March. Only the female and male (alphas) mate in the pack so as to control their population. 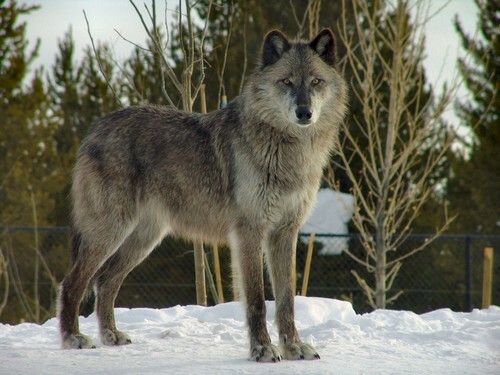 The female wolf has five to seven days only to estrus, a condition to conceive. As this happens, the male alpha will thereafter leave the pack for sometimes to avoid distraction from other members of the pack. During breeding season wolves begin to get very affectionate with one another. This comes with the expectation of female ovulation cycle. When the alpha female wolf finally goes into a period known as estrus the male adult wolf and the female wolves spend much time together normally in seclusion. Now in the first five days of estrus, the female alpha will shed a lining of her uterus and will become restrictive to the male. As this happens, female alpha will start ovulation and mating will happen. The mating test is done over and over during the female brief ovulation period that occurs once in a year one. It is said both the alphas can continue breeding this way till they get 10 years of age. 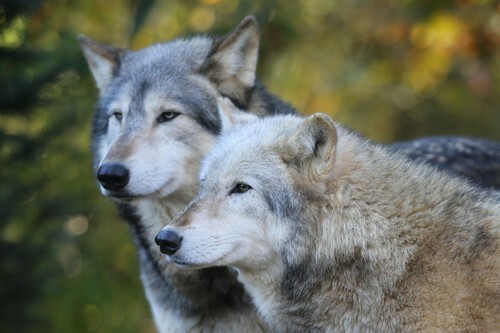 After the female and male wolves have mated, the gestation period runs for 60 and 63 days. The puppies are born blind, totally deaf and dependent on the mom. A litter can have 1 to 14 puppies. While the average number is four to six puppies. For eight weeks, the puppies stay inside the den where they were born. The den is normally located close to water source and open area. The puppies will start to roam up to a mile away from the den exploring the area. At four weeks old, the puppies’ milk teeth have surfaced and they start to eat regurgitated food. At six weeks old the pups are weaned. In the first few weeks they will be growing and the female alpha will spend time with them alone. In the meantime, other members of the pack will join in with caring of the puppies in one way or another. 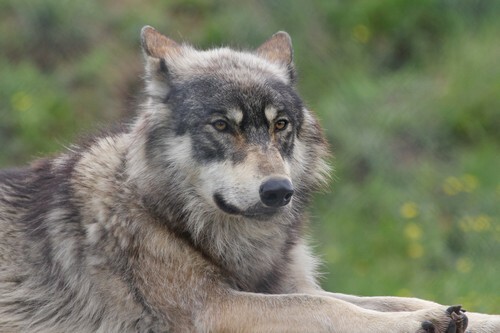 The young ones stand a better chance of surviving due to large contribution by other wolves towards their care, which includes; obtaining food and offering security. After two months since birth, the wolf puppies will be shifted to a secure place which they will live in while some of the mature wolves go hunting. Two or three adult wolves will of course stay back to watch over puppies and provide safety. After several weeks of upkeep, the pups are sometimes allowed to join the rest in the hunt. They are solely allowed to observe until they reach eight months where they will be old enough to take the mantle. Regardless of their rank of age the newborn are given first priority whenever food is tabled within the pack. Allowing the newborn battle for the right to eat, result in secondary ranking being instilled among them which allow them to exercise dominance as well as submission rituals which is important to their impending survival within the pack existence. Typically, wolves reach maturity when they approach two to three years of age. This is the time they feel they need to exit the pack, get mate and being a pack of their own kind.